The Holiday Inn Glasgow Airport is the ideal Hotel for those on business or enjoying a holiday in Scotland. 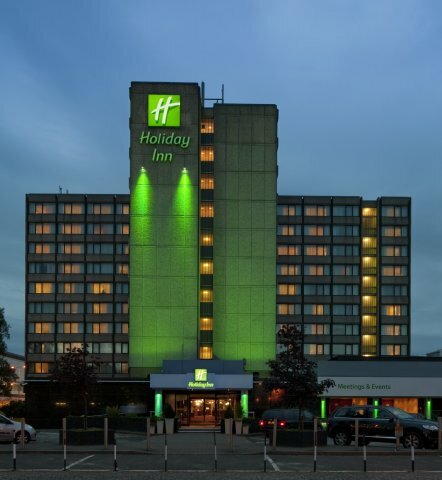 Holiday Inn Glasgow Airport is the closest hotel to Glasgow Airport and only 10 minutes from Glasgow City Centre where fabulous shopping and nightlife is in abundance, an ideal base for anyone enjoying a City Break or many of the City Key Attractions. Direct Motorway access provides quick and easy links to the major Tourist Attraction of Loch Lomond, The Trossachs, Stirling and Edinburgh. While the Golf Attractions of Troon & Ayrshire are also within easy reach. For guests who need Long Stay Car Parking, the Holiday Inn Glasgow Airport has superb Park & Fly Packages which include Great Value Secure Parking for upto 15 days. For the Corporate Business Traveller there is the added benefit of our Academy Meeting & Events Facility with a great range of services. Please select the Meetings & Business link at the top of this page for full details.